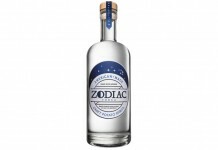 If there was one trend in spirits that could define drinking in 2012, it was flavored vodka. The conversation around vodka went from how many times a vodka was distilled and which premium brand was the best, to how many crazy flavors can you put out that people will actually buy. Vodka makers went so deep into the flavor database that they ended up releasing flavored vodka with flavors that aren’t really flavors, including Four Olive’s Dude and Purple. Flavored vodkas aren’t anything new – Stoli and Absolut both built their businesses on offering a rainbow of flavors. The flavored vodka wave has been building for a while, but it really wasn’t until Pinnacle Vodka started releasing sweet and baked-good related flavors, like cake and whipped cream, that the space really began to take off. Oddka Vodka is a Polish vodka manufactured by Wyborowa and imported by Pernod Ricard, the same company behind Absolut Vodka. The entire concept behind Oddka is a fairly simple one: release odd vodka flavors that push the already absurd limits of flavored vodka. 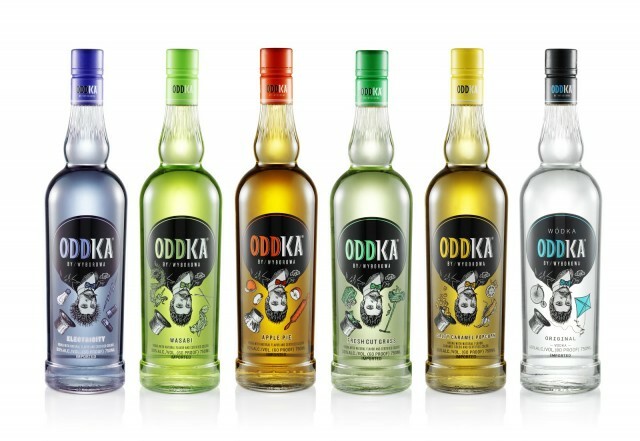 Offered at 60 proof/ 30% ABV (vs the traditional 80 proof / 40% ABV for most vodka), Oddka is a quirky little beacon of a spirit calling out the curious who want to see what Electricity or Fresh Cut Grass tastes like in a vodka. It’s challenging to review such absurd offerings with the same critical eye that we apply to some of the high quality spirits we cover on Drink Spirits. For the most part, flavored vodkas are made in labs with chemical flavorings. Like Harry Potter Bertie Bott’s ‘Every Flavour’ Jelly Beans, with the right flavor chemicals, you can make vodka taste like anything and everything. Oddka’s launch flavors run the gamut from the not-so-odd Apple Pie to the downright odd Electricity. The Oddka brand is also a funny one. Although the liquid in the bottle is brightly colored, the bottles have a very traditional feel to them, right down to a faux Polish tax seal on top. Oddka Electricity Vodka ($15.99, 60 proof/ 30% ABV) begs the question “what does electricity taste like?” Oddka’s answer is a pale purple vodka with light candy grape-like notes on the nose with something slightly metallic and plastic underneath. You can also smell the underlining vodka along with a very peppery spice. The entry is sweet, candied grape with lime underneath. In the midpalate you get a spike of heat from the vodka which is supported by a pepper spice. The finish is a combination of subtle candy grape, light citrus, and spicy pepper. It’s kind of odd that Oddka didn’t release the Electricity Vodka at a higher proof (you’d think they’d want it to pack a bigger punch). As it stands the bite from the vodka in the midpalate makes it seem like it’s a higher proof and while it’s slightly tingly on the palate, the grape notes here are extremely artificial and slightly disgusting. Not knowing that this is “Electricity” vodka, we would have guessed that it was grape/citrus vodka mix. Not the best combination nor a vodka we can see drinking either mixed or neat. Oddka Fresh Cut Grass Vodka ($15.99, 60 proof/ 30% ABV) – grass notes in vodka aren’t anything new. 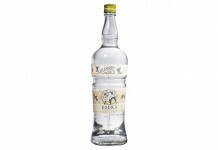 Bison Grass Vodka has been an extremely popular category of vodka in the Baltic states and has found traction here in the US (although in the US it’s bison grass flavored vodka vs infused). Bison Grass Vodka tends to be a little more subtle with its grassy notes than we see here with Oddka. Pale green in color, the Oddka Fresh Cut Grass screams grass from the instant you nose it. There’s absolutely nothing subtle about this vodka. Underneath the grass note is honeydew melon, subtle strawberry, kiwi, aloe, and way below that is the smell of the base vodka. The taste closely mirrors the nose with a top note of grass but with a midnote of honeydew and strawberry along with the sweet grain of the vodka. The flavors here aren’t as unpalatable as those in Electricity, but they still read as slightly artificial. The finish on Oddka Fresh Cut Grass is actually pretty solid with the grass top note and the vodka bottom note holding things together. It would be easy for someone not to realize the fruit notes and concentrate only on the grass. Pure grass would probably be far too assertive and bitter for most people, and Oddka has done a nice job of capturing a flavor that people may not really like and contexting it with other elements to make it much more pleasing. The biggest downside we found from Oddka Fresh Cut Grass is that the grass note from the finish is extremely persistant and sticks around for an eternity. Oddka Salty Caramel Popcorn Vodka ($15.99, 60 proof/ 30% ABV) – compared to other flavored vodkas on the market, this one isn’t as odd as the rest. There are a lot of entries in the caramel or salted caramel space, and Oddka’s entry is a slight variation on that theme. The nose of Oddka Salty Caramel Popcorn is strong caramel. Underneath the caramel there’s a buttery note along with popcorn. The vodka aroma is there but it’s buried quite deep under all the other aroma notes.The entry is fairly sweet and light with light caramel leading the charge, along with popcorn, nuts, honey, and a slightly salty note. The vodka flavor comes out more in the midpalate with vanilla and pepper added to the mix. The finish is caramel and honey dominated with a touch of the grain from the vodka in the middle. Oddka Salty Caramel Popcorn succeeds by doing no wrong. 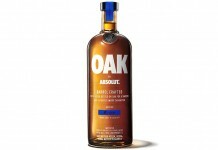 It’s caramel flavors are solid and they balance out with the vodka better than many of the other Oddka flavors. The caramel doesn’t linger nearly as long as the cut grass, which is a good thing. Oddka Salty Caramel is probably one of the Oddka’s we can see actually mixing with as it would go well as a base for sweet, creamy coffee or cream drinks. Oddka Appe Pie Vodka ($15.99, 60 proof/ 30% ABV) – another not so out there flavor, apple pie has been a flavor note played with some success in both the liqueur and moonshine space. Like grape, apple is a tough flavor note to get right without tasting totally artificial. The nose on Oddka Apple Pie shows off its artificial notes right from the get-go, reminding us more of a green apple Jolly Rancher candy than actual apples. In addition to artificial apple there’s also caramel, strawberry, and honeydew melon as well as an artificial pie crust note. Nothing in the nose makes us want to taste this vodka. The entry is light and sweet with the artificial apple note leading. It’s unfortunately as unpleasant on the palate as it is on the nose. The midpalate brings on that artificial pie crust note along with caramel, honeydew, and the grain from the vodka. The finish is artificial apple and pie crust along with vodka grain. It’s hard to get the artificial apple to leave the palate and it sticks around for ever. The Oddka Apple Pie Vodka is a clear miss. Oddka Wasabi Vodka ($15.99, 60 proof / 30% AVB) – if apple and grape are difficult notes to present in a spirit without it tasting artificial, then spicy wasabi or pepper is near impossible. One of the worst things we reviewed in 2012 was Southern Comfort Fiery Pepper and unfortunately the nose of Oddka Wasabi reminds us of it. Neon green in color, the nose smells like pavement, light mustard, and motor oil. The nose doesn’t smell like wasabi at all, and it smells like something you shouldn’t put in your mouth. The entry for Oddka Wasabi Vodka is sweet with plastic and pavement. The wasabi doesn’t really show up until the midpalate and it’s so fleeting that you could easily miss it. The finish is unpleasant, with the suggestion of wasabi spice but also plastic. Surprisingly, the Wasabi Vodka isn’t all that spicy; it is, however, disgusting. This is by far the worst of the Oddka releases and among the worst flavored vodkas we’ve tasted. Given their outlandish flavors and the status quo for flavored vodka, we didn’t have extremely high expectations for Oddka. The results were really a mixed bag. The clear winners of the pack were Oddka Salty Caramel Popcorn and Fresh Cut Grass. The Wasabi, Apple Pie, and Electricity are clear passes, even for the category. In many ways Oddka could be to vodka what Jelly Bellys are to jellybeans. If Oddka stuck to flavors that read well even when they are artificial, they could do well. We could imagine Oddka Root Beer, Pina Colada, Banana, and Toasted Marshmallow. As it stands, Oddka will probably be a curiosity shot or a one bottle purchase. It’s nice to see a company try outlandish things, but outlandish doesn’t always mean good.